Vs. Tennis © 1984 Nintendo. 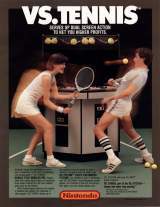 Single or doubles tennis against human or computer players. Match is best of 3 sets. Game operates on both single and dual monitor cabinets. 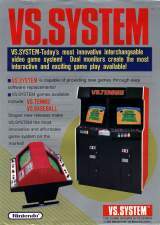 This game was designed for the dual-monitor cabinet so that opposing players had their own monitor.